Solar prices have dropped dramatically in recent years, and now Energy Trust of Oregon is helping to lower them further. usually a rooftop. Energy Trust now allows contractors to use approved remote shading analysis tools. The first three remote shade analysis tools that have been reviewed for accuracy and approved are Bright Harvest, Aurora Solar and Helioscope. To receive an incentive from Energy Trust for a solar electric system, a solar trade ally contractor documents how much energy a system can produce by completing a solar resource assessment. Solar resource assessments measure the impact of shading, array tilt and orientation on a solar electric system’s annual power generation. This gives customers a fine-tuned estimate of the amount of generation to expect from their system and assures Energy Trust that systems meet performance criteria. Sales staff and system designers can even create a fully-dimensioned design and complete a solar resource assessment before the first site visit. Remote shade analysis tools allow solar installers to use satellite imagery and LiDAR where it is available to define the 3-D structure of any building as well as the surrounding trees. The installer can then design a solar electric system that will meet all Energy Trust requirements. The tool applies a proprietary algorithm and simulates the sun’s path over the 3D model to produce a heat map that visualizes the solar resource for any point on the roof’s surface. These new tools will help lower installation costs and also improve worker safety while maintaining the same high level of system quality for customers. Energy Trust works with a network of trade ally contractors to help homeowners and businesses install solar power in Oregon. Together, they’ve helped nearly 1,000 organizations and more than 9,000 households around the state harness solar power to generate clean energy and save money. Energy Trust of Oregon is an independent nonprofit organization dedicated to helping utility customers benefit from saving energy and generating renewable power. 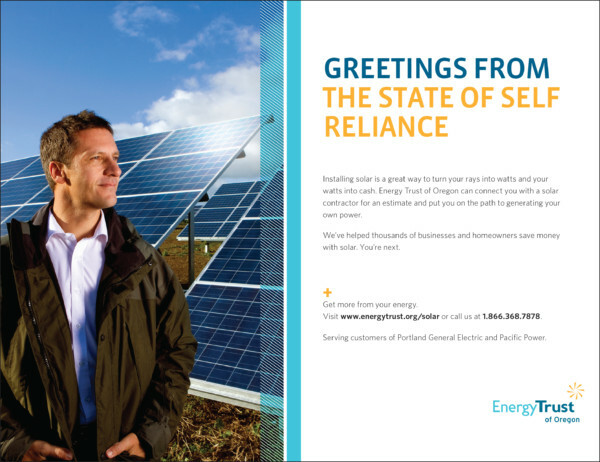 Our services, cash incentives and energy solutions have helped participating customers of Portland General Electric, Pacific Power, NW Natural and Cascade Natural Gas save $2.3 billion on energy bills. Our work helps keep energy costs as low as possible, creates jobs and builds a sustainable energy future. Learn more at www energytrust.org or call 1-866-368-7878. Hi friends, good paragraph and pleasant arguments commented here, I am truly enjoying by these. Hello there, I found your site via Google whilst searching for a related subject, your site came up, it seems to be good. I’ve bookmarked it in my google bookmarks. Hi there, simply become alert to your blog via Google, and located that it’s truly informative. I am going to be careful for brussels. I will appreciate when you proceed this in future. Lots of folks can be benefited out of your writing. Cheers!